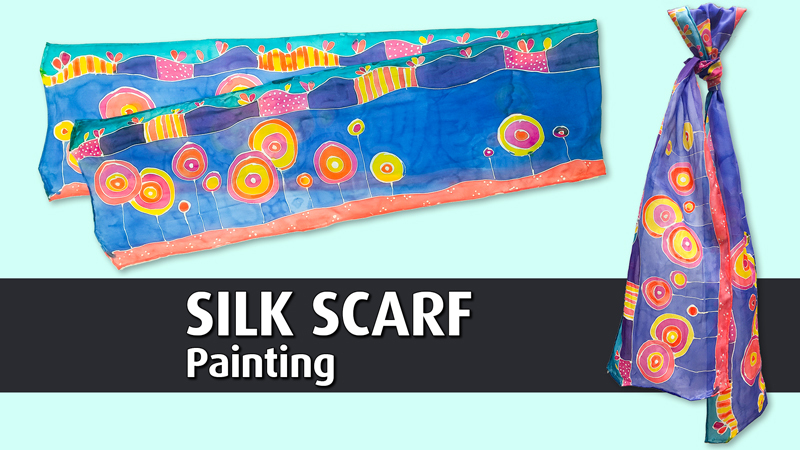 Accessorize your fall wardrobe with a bright and colorful silk scarf that you painted yourself! You will learn all about painting on silk using Jacquard Dyna-Flo paints and creating designs with water based resist. Come with your own ideas or use some of our inspiration. You'll be the best dressed one in town!